FL@33's sister-company Stereohype – London-based online boutique, T-shirt and button badge label – teamed up with long-time collaborator Nathan Gale of Intercity and his brilliant Art & Sole blog. ___ Nathan has been curating a beautiful print series called AFOMFS (A Few Of My Favourite Sneakers) inviting talents from around the world to submit their sneaker artworks. 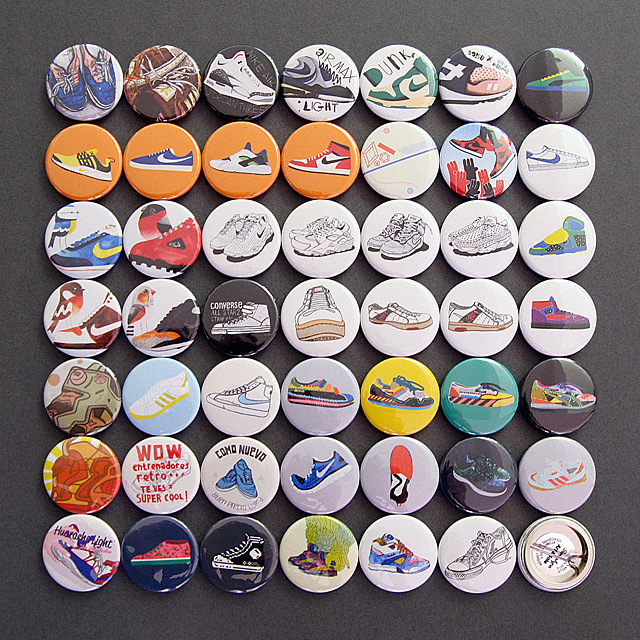 A selection of 48 of these trainer artworks created by 18 sneaker-loving illustrators and artists have now been produced and released by Stereohype as classic 1" (25mm) button badges. 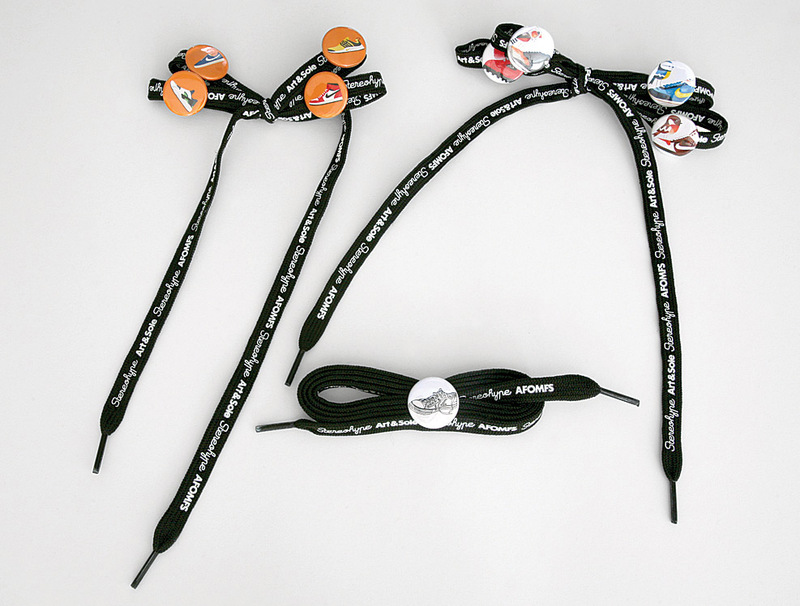 ___ FL@33 developed numerous button badge packaging solutions since launching Stereohype in 2004 including themed badge sets, swing tag solutions and luxury gift boxes – but attaching button badges to a custom shoelace is a first for us. 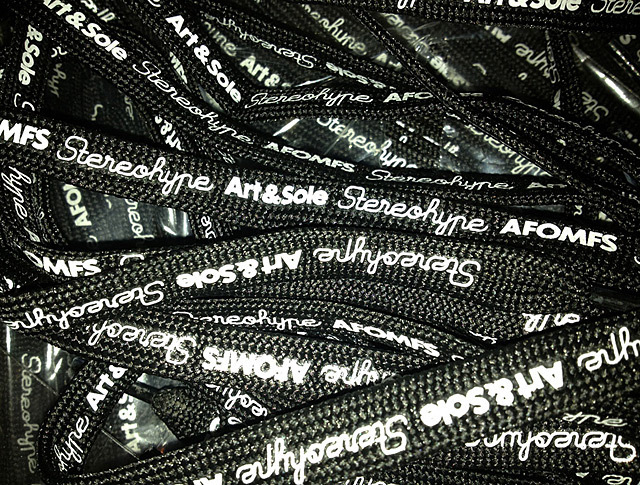 While stock lasts all AFOMFS orders come with the custom shoelace. 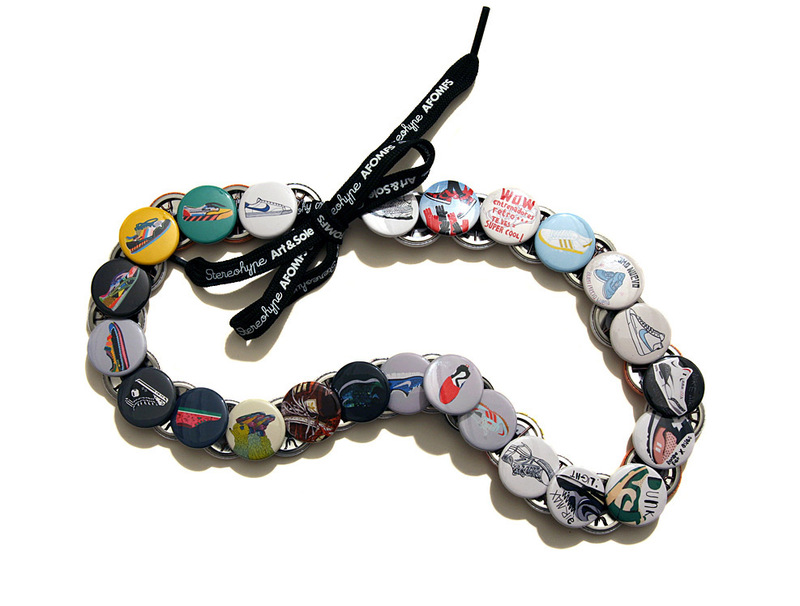 Badges are available separately, as sets of 3 or 4 and also as complete AFOMFS series. The limited edition shoelace features a repeat pattern of the Stereohype and Art & Sole logos and AFOMFS. ___ Stereohype's popular and ever-growing button badge collection now includes over 800 'mobile mini canvases' created by emerging and established talents from around the world. ___ Art & Sole is both – a blog and a book FL@33 also appears in. ___ An additional FL@33-designed AFOMFS packaging was added to Stereohype's range a few months later. Have a closer look at the AFOMFS limited edition gift boxes. 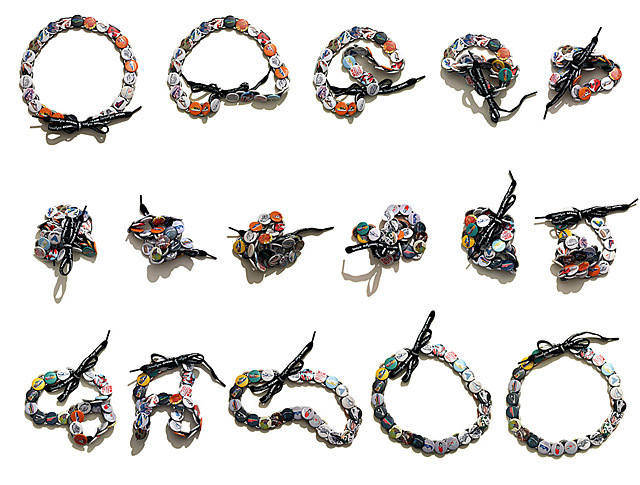 July 8th, 2013 — 12 first year master students in illustration practice, 48 black and white button badge gems. Following FL@33's public lecture and three-day-long Made & Sold-inspired workshop at MICA, Baltimore, MD, USA, earlier this year – the fruits of the workshop's 'day 2 assignment' were released by Stereohype today. 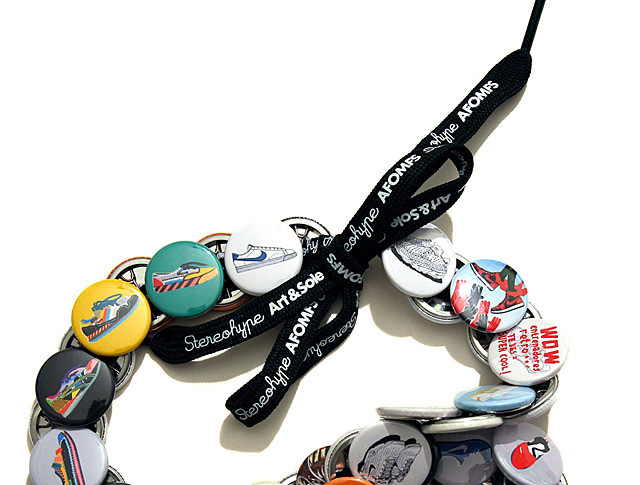 May 2nd, 2013 — Design Week feature on collaborative FL@33 & Stereohype & Art & Sole & Intercity project AFOMFS (A Few Of My Favourite Sneakers) button badge series launch. May 2nd, 2013 — How featured collaborative Stereohype & Art & Sole project AFOMFS (A Few Of My Favourite Sneakers) button badge series with FL@33-designed shoelace packaging. 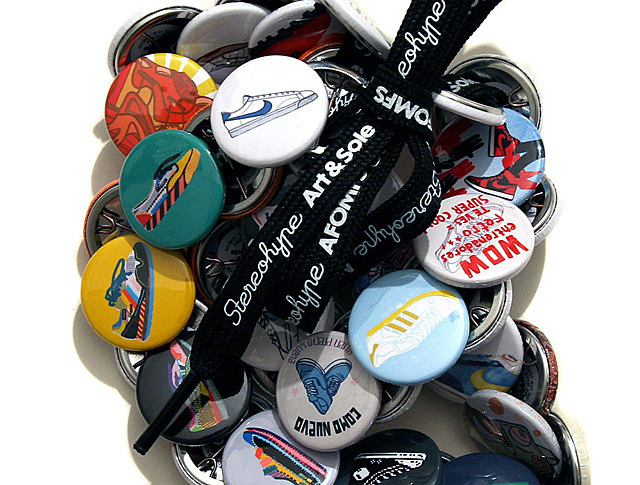 April 30th, 2013 — Just released: Stereohype & Art & Sole give you 48 AFOMFS (A Few Of My Favourite Sneakers) button badge gems and a FL@33-designed packaging with custom shoelace.